LRS September Kit- first project! 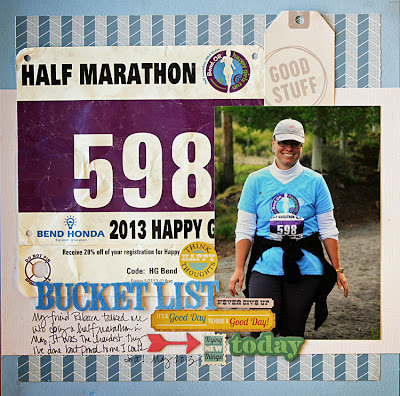 Hi there, I'm back to share the rest of my layouts using the wonderful September kit from LRS. Did I mention how nicely coordinated this kit is? I think it's one of my favorite kits so far! 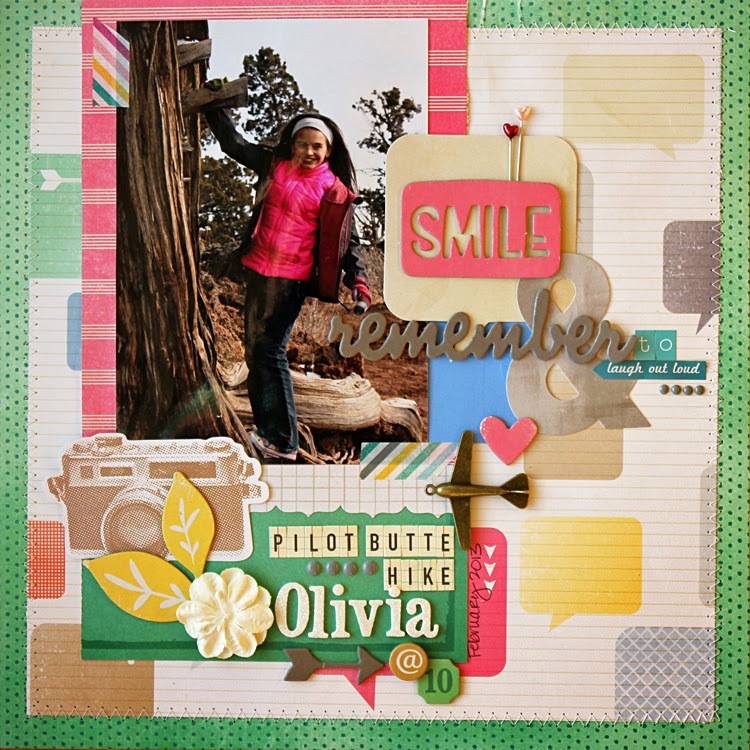 This first layout is of our friends' daughter, Olivia. It has a lot of embellishment layering and machine stitching and I let the background patterned paper do most of the work for me! Layout number two is of me taken during my very first half marathon earlier this year. I don't often add memorabilia items to my layouts but I decided to add my number to commemorate the occasion. This is one of those bucket list items that I can check off that I may never do again! Thanks Rebecca for the push...(ahem) I mean encouragement. LOL I altered the alphas with paint to match them to my layout. My final layout "Family volleyball champs" is of my sister-in-laws and friends taken at a family get-together last summer. Whenever we're all together there's always some sort of competition between the guys and gals. This time it happened to be a volleyball game that gals won...well, that's my story and I'm sticking to it! Anyway, more stitching, more embellishment layering, and more altered letters on this layout. So much fun! Thanks for stopping by and letting me share the rest of my layouts with you! Don't forget to stop by the LRS store and pick up a September kit before they're all sold out! !